LOCA conducts weekly art workshops at Glennwood House, a residence for special needs adults in Laguna Beach. 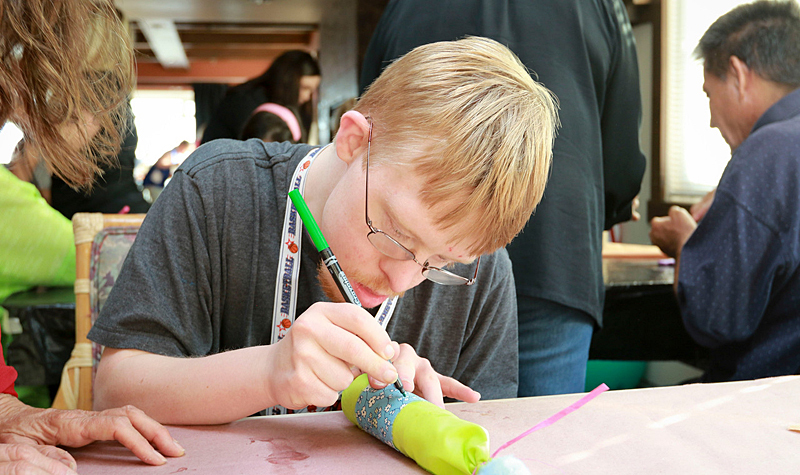 LOCA instructors provide the residents with a variety of creative art projects and experiences. They have the opportunity to experiment with a variety of mediums – from printmaking to ceramics. In addition to a variety of fine art projects, LOCA hosts Art of Movement”, a dance program, as well as drama workshops that improve coordination and encourage self confidence in self expression and social skills. LOCA is also instrumental in connecting residents to the greater community by providing art related field trips and opportunities for exhibiting their work. Alcohol Inks with Joy Vansell~Class sold out, Please email loca@locaarts.org to be placed on a wait list.